Seventeen-year-old Timothy has accepted Christ, but he struggles with the pain of an absent father and lacks spiritual maturity. When the apostle Paul invites Timothy to join him on a missionary journey, Timothy thinks he’s receiving a chance to see the world and to escape his personal struggles.... read more But the long road ahead quickly becomes more than a means to adventure. Under Paul&apos;s careful teaching—presented here in story form though often pulled straight out of the pages of Scripture—Timothy learns more about the Christian life, about sharing his faith, and about the remarkable love and blessings of his Heavenly Father.Dr. 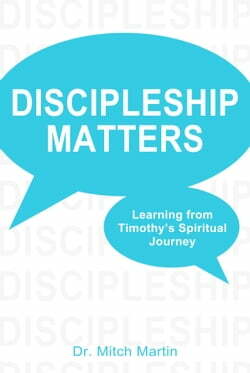 Mitch Martin weaves a fictionalized account of Timothy’s interactions with Paul that invites readers to both grow as Christ’s disciples and to recognize that each Christian is called to live as a disciple-maker.